Find your dream landscaping in Franksville, WI. We are both a nursery and a landscape design/installation company. This is a great combination because it allows you to see and select trees and plants that YOU like. Our designers are always here to guide you to ensure you get the right plants for the right spot at your home or business. Find a list of specific hardscape designs or landscape installations that we offer! Take a walk through our nursery to see old favorites as well as rare trees and shrubs not found in your average garden center. It’s a treat for the senses. 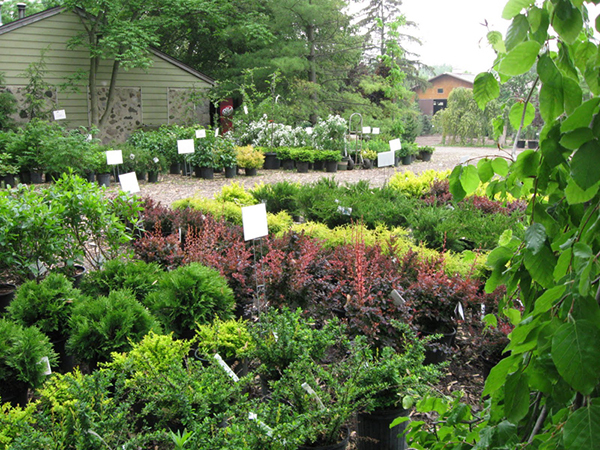 Our garden center and sales yard is open to the public. We are much more than a parking lot with plants. Many rare and unusual trees and plants are growing amongst the fine selection of live plants we have for sale. 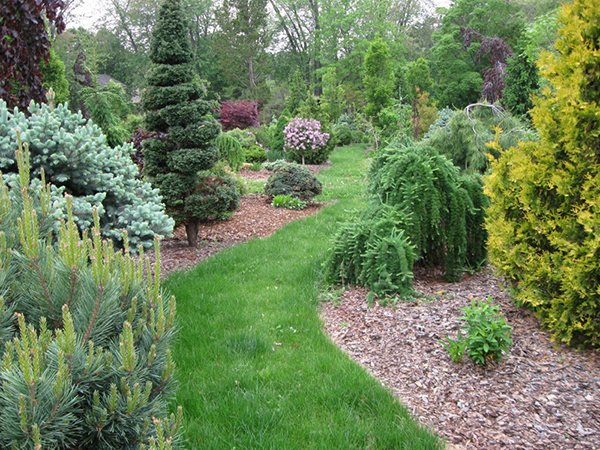 We have a large display garden with grass paths winding through a collection of dwarf conifers, flowering trees, ornamental grasses and flowering shrubs. We provide plants and landscaping for new construction projects as well as renovation of existing landscapes, both residential and commercial. Come on out. Consider this your personal invitation to take a stroll along one of our grassy paths and enjoy unusual grafted trees and plants you won’t find anywhere else. You’ll see how we’re different from quick-pick garden centers. The Garden of Eder has been growing, designing and installing for almost 50 years. We invite you to take your time and learn why OUR experience makes YOUR landscape project beautiful, healthy and long-lasting. At The Garden of Eder you’ll find many of the usual landscaping items ready to take home and plant. 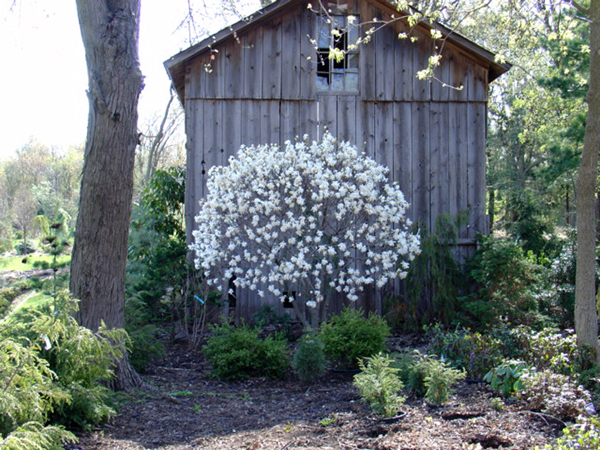 But you can also browse our unique collection of locally-grown rare trees and shrubs. Come take a look. You’ll learn why landscaping not only increases your enjoyment of outdoor space, but also adds real and lasting value to your home or business. It’s true that landscape designs actually increase in value over the years. No other home improvement project can claim that fact. The Garden of Eder has been owned and run by the Eder family for almost 50 years, but its history goes back even further. We’ve maintained many of the original structures and plants. We work with each of our visitors to be sure we understand their particular needs — not only from the perspective of choosing plants that will thrive in specific spots on your yard, but we also learn about your lifestyle. By asking the right questions, we determine specifics like how much time you have for watering, whether you’d like to block a certain unsightly view, and how you intend to use your space. Are you an outdoor griller? Do you enjoy inviting friends to enjoy an evening around the outdoor firepit? Is privacy a concern? Stop in to our nursery and garden center, convenient to Milwaukee, Racine and Chicago…just west of I-94 on Hwy K in Franksville, Wisconsin. We’re here to help you make informed decisions about your landscape.